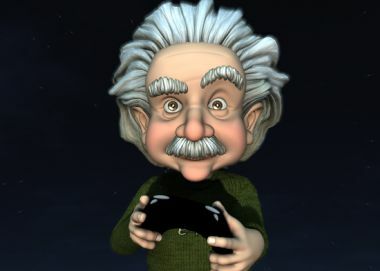 Scott Steinberg’s today article How Video Games Can Make You Smarter special to CNN, focuses on four ways that Video Games can actually help make you smarter. With no intention of being exhaustive, here is how he describes the four contexts that make you smarter. More interactive and absorbing than passive forms of entertainment like movies and TV, video games promote higher levels of engagement because observers are actively and enthusiastically involved with on-screen activity. It's a point author James Paul Gee emphasizes in "What Video Games Have to Teach Us About Learning and Literacy," which argues that digital diversions promote more substantive learning. As he once told UK newspaper The Guardian, "good video games ... are complex designed systems that players have to learn to engage with reflectively and strategically." Many children can pass biology and physics tests, he points out, but few can apply that knowledge to solve real-world problems. Businesses and Universities are increasingly turning to Serious Games as training tools to educate employees. From Cisco to NASA, the U.S. Army to IBM, numerous corporations, government organizations and colleges have all employed interactive learning solutions. Consider Loyalist College in Ontario, which offered students a simulation of U.S./Canada border crossings where they played the role of guards, and actually saw the rate of successful test scores jump from 56% to 95%. Or the Hilton Garden Inn, which built a custom 3-D hospitality training game for the PlayStation Portable, reasoning that it's more informative and reasonable for staffers to experiment by interacting with virtual customers. Video games may soon save lives as well. 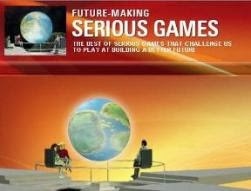 According to Dr. Jeffrey Taekman, the director of Duke University's Human Simulation and Patient Safety Center, "Serious Games are the future of education." Besides offering medical students the ability to practice on patients (which is much safer in the digital world), simulations offer health care providers several upsides. Chief among them, he says, are the abilities to make choices, see results and apply information immediately. Beyond allowing for greater scalability and group collaboration than traditional classrooms, every decision made in a virtual world, he continues, can be tracked and benchmarked against best practices, then standardized or archived for others' review. "The traditional textbook will soon become passé," he suggests. "Gaming platforms will offer an interactive way for students to learn and apply information in context." Massively multiplayer games such as "World of Warcraft," "EVE Online" and "City of Heroes" may seem like idle fantasy and sci-fi escapes. But many require active teamwork and high-level project management to do well. 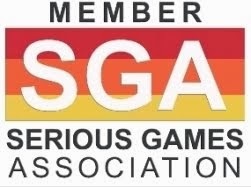 Collaborative elements often take the form of loose alliances disguised as in-game guilds, factions or virtual corporations where players join forces to complete objectives such as seizing territory or battling otherwise unstoppable opponents. As Georgia Tech professor and Persuasive Games founder Ian Bogost explains, these titles frequently require advanced mastery of resource allocation and practical leadership techniques. Requiring direct management and informed decision-making at multiple levels, group heads quickly learn to delegate responsibility, direct personnel and steer allies toward a common goal. Actively promoting teamwork between seemingly disparate individuals located states or entire countries apart, he says, all ironically offer preparation for a job in today's increasingly virtual workforce. Scott Steinberg is the head of technology and video game consulting firm TechSavvy Global, as well as the founder of GameExec magazine and Game Industry TV. The creator and host of online video series Game Theory, he frequently appears as an on-air technology analyst for ABC, CBS, NBC, FOX and CNN.